Despite tariff concerns, Linamar CEO Linda Hasenfratz says the industry has major opportunities for growth. DETROIT — Automotive parts supplier Linamar Corp. CEO Linda Hasenfratz on Wednesday warned that nagging steel and aluminum tariffs could begin to drive up vehicle prices, costing automakers as many as 2.5 million units in annual sales. She urged the industry to pressure lawmakers to reverse course before that happens. While she said the tariffs have yet to have a significant impact on Linamar’s bottom line, automakers could soon pass increased costs onto consumers or suppliers, raising the price of vehicles and hurting sales. Citing industry experts, she said that if steel and aluminum tariffs are not lifted by midyear, they could take between two million and 2.5 million units out of the North American market. 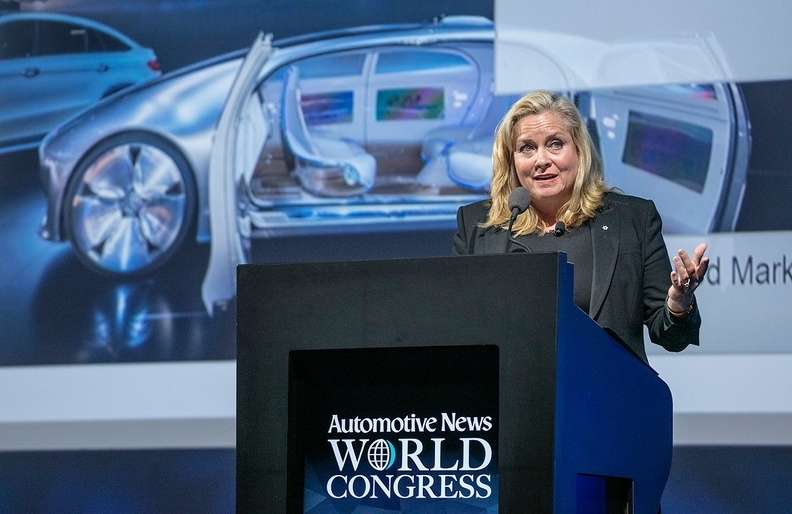 Hasenfratz, speaking at the Automotive News World Congress in Detroit, said political uncertainty is "creating a lot of noise" in the industry, making it difficult for companies to focus on long-term priorities such as investing in electric and autonomous technology. "All of us have a voice, and we should be using that voice to talk to our governments to get that solved. This is something that we can control. There [are] a lot of recessions and downturns we can't control." The United States in July began a 25 per cent tariff on steel imports and a 10 per cent tariff on aluminum imports. Canada soon followed with retaliatory tariffs, but has since issued exemptions to some steel and aluminum imports to give relief to Canadian companies that have been hurt by higher costs for United States metal. "Both GM and Ford talked about US $1 billion of impact," she said. "They can only absorb those costs for so long before prices start to go up and demand goes down." That would affect companies such as Ontario-based Linamar, which has 23 of its 60 factories in Canada. Despite tariff concerns, Hasenfratz said the industry has major opportunities for growth, citing strong economies and the emergence of new technologies. "I feel like this is the most opportunistic time I've ever seen in the automotive industry," she said. "I think if we stay flexible, we focus on the big picture and focus on facts and look past the noise of all this trade-tariffs stuff that's going on and keep innovating and focus long-term, we can certainly be successful." She said she sees Canada remaining a viable market for auto manufacturing, in part due to the country's skilled work force. Still, she urged the government to lower corporate taxes to become more competitive with the United States in the wake of its 2017 tax cuts. "I do believe that manufacturing in Canada is very competitive. The sign of competitiveness is winning business, and we've won billions of dollars of work in the last three or four years for our Canadian plants. That tells us Canadian manufacturing is competitive."